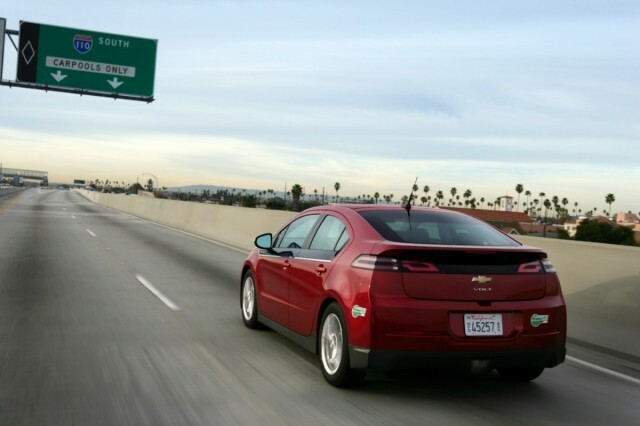 Among U.S. states, California is by far the most enthusiastic when it comes to electric cars. And that's largely due to regulations overseen by the state's Air Resources Board. But Mary Nichols--the chair of this agency since 2007--isn't satisfied with having just a few electric cars on California roads. "Nichols really does intend to force automakers to eventually sell nothing but electrics," according to a recent Bloomberg profile (via the Honda Fit EV Owners Facebook group). In an interview with the news service, the 70-year-old Nichols said that she plans to push regulations that would all but eliminate sales of new cars with internal-combustion engines in California over the next few decades. California's current zero-emission vehicle mandate requires that 2.7 percent of new cars sold in the state this year produce no greenhouse-gas emissions. That requirement is set to increase yearly beginning in 2018, reaching 22 percent of new-car sales in 2025. Nichols reportedly wants to push further, making 100 percent of new vehicles sold produce zero- or almost-zero emissions by 2030. This represents the groundwork for a goal of taking internal-combustion cars completely off California roads by 2050. It's assumed that any of the gasoline or diesel vehicles sold right before the hypothetical 2030 cutoff will have ended their useful lives by then. In her quest for emission-free California roads, Nichols is leading by example. She drives a Honda Fit EV--one of the "compliance cars" built solely to satisfy the state's zero-emission vehicle mandate, and one that she'll have to give back when her lease expires. The ambitious plans advanced by Nichols are in sync with those of California Governor Jerry Brown, under whom she has served twice as head of CARB. In an executive order, Brown set the goal of cutting California greenhouse-gas emissions 80 percent by mid-century, and he's called for a 50-percent cut in transportation pretoleum use by 2030. Brown named Nichols to the Air Resources Board in 1975, and made her chairwoman in 1979. When Brown returned to Sacramento in what the piece calls his ongoing second act, Nichols was already in the midst of her second tenure leading the board, having been reinstated by Governor Arnold Schwarzenegger. One crucible for the endurance of Nichols' zero-emission car targets will likely come next year, in the so-called "midterm review" of the national CAFE standards that now stretch from model 2012 all the way through 2025. During that process, carmakers are expected to argue for leniency and delays in both the California regulations and Federal Corporate Average Fuel Economy (CAFE) standards, both of which are set to be reviewed. Among other reasons, they will cite increasing consumer preference for heavier, thirstier, less aerodynamic SUVs and crossover utility vehicles over sedans and hatchbacks--whose proportional sales have recently fallen to record lows. A group of smaller carmakers that will have to start selling zero-emission vehicles in California in 2018 has already lobbied for the rules to allow them to comply using only plug-in hybrids, without any true zero-emission vehicles. Nichols noted that some compromise may be possible, but also claimed stricter standards will ultimately benefit the auto industry in California. She said carmakers view the Air Resources Board as the driving force behind certain technologies--and that's causing companies to concentrate more engineering and design resources in the state. That could very well be a side benefit to California's relentless focus on cleaner cars. And it will allow California to continue to be a model for the rest of the world--including several giant Chinese cities--in taking aggressive action to reduce and ultimately eliminate vehicle emissions.